What a weekend we are having! We have lots of rain, big booms from Camp Pendleton, and it is Super Bowl weekend. I traditionally do not talk religion or politics, and for many people football is a religion, but I can’t get behind this Super Bowl. Yes, both teams worked hard but both also had a lot of ref help. Now you may be thinking, why is my real estate guy writing to me about his Super Bowl angst?! Well, in many ways it is very similar to our real estate market. As a homeowner, you can increase value by upgrading your home with a pool, solar, new kitchen, etc. You can also create wealth by aggressively paying down principle or refinancing to a 15-year loan. However, as with championship football games, there are many things outside of your control regarding the market value of your home. One of the biggest “refs” that dramatically impact our market is the Federal Reserve. Last week, they decided not to raise interest rates. This affects a myriad of things including consumer confidence, the stock market, interest rates, and even consumer cash flow as it stabilizes credit card rates after they have been on the rise for months. By keeping rates low, it spurs higher buyer activity which will reduce the supply of homes on the market. Low supply amid high demand means that this spring your home will be a winner. We are already seeing a shortage of supply play out with homes $425,000 and under. When interest rates dropped down, home sales really start to pick up. When you are out showing homes in Murrieta and can only find 8-12 homes in total for new buyers, you know things are tight. When five of the homes go into escrow within the same week, you know the party is just getting started. Next up, offers over asking! This means that between now and June will be the ideal time to sell. Usually, we would see this trend start in April, but the large decreases in rates and increase in consumer confidence are pushing things to an early start this year. Tax plan returns in April will likely further invigorate our local real estate market. The Federal Reserve is always a factor but for some reason, this one call last week really had a much larger impact that usual. The timing was just right with the trade war, government shutdown, and lots of politics going on, thus my NFL analogy. One call at the pivotal moment can mean everything! Fortunately for homeowners, the Fed made the right call at the right time. Please let me know if you or someone you know needs help. As always, I appreciate your referrals! I hope you had a wonderful Christmas and New Year. I love the holidays but I also love moving forward! Personally, I am very excited about 2019 as I found 2018 to be an “all over the place” type of year. It often felt like things were hurtling at breakneck speed with lots of dramatic swings. While I think 2019 will be more focused, we still seem to have many conflicting forces that will impact our real estate market. When determining the health of the real estate market, you need to evaluate a variety of influences including consumer confidence, domestic unemployment, national politics, home pricing, home supply, interest rates, tax benefits, and local market forces. That is a significant amount of information to distill down just to be able to answer the deceptively simple question I get almost daily, “So what is the real estate market looking like?” I will humbly attempt to do so now. In September 2018, consumer confidence reached its highest point in 18 years but has been in decline each month since. Unemployment remains very low, starting last year at 4.1% and improving to a fantastic 3.9% by year-end. In terms of national politics, the government shutdown, trade war with China, and escalating tensions between the parties have begun to erode both market and consumer confidence. Through the end of the year, home prices continued their decline from the summer. In June of 2018 we had a huge supply of homes surge onto the market right when buyers were pulling back due to rising interest rates. What does all this mean? It means we had a very bumpy real estate market in 2018. However, the 2019 real estate market feels more grounded, with the majority of wild swings having already been experienced last year. Interest rates have dipped due to market uncertainty which increased new loan applications by 23.5% over the holidays. Let’s just hope those loans can close with the government shutdown going on! Amid all these contributing factors, I anticipate the local real estate market moving 5% higher in the coming year. Bottom line, unemployment is very good and our economy remains strong. I also believe renters will have more money due to the new tax plan and increased child tax credit. That should spur additional buying as interest rates will likely remain under 6% through 2019. Please let me know if you or anyone you know needs real estate help. My team and I are ready to help and wish you and your family an amazing 2019. 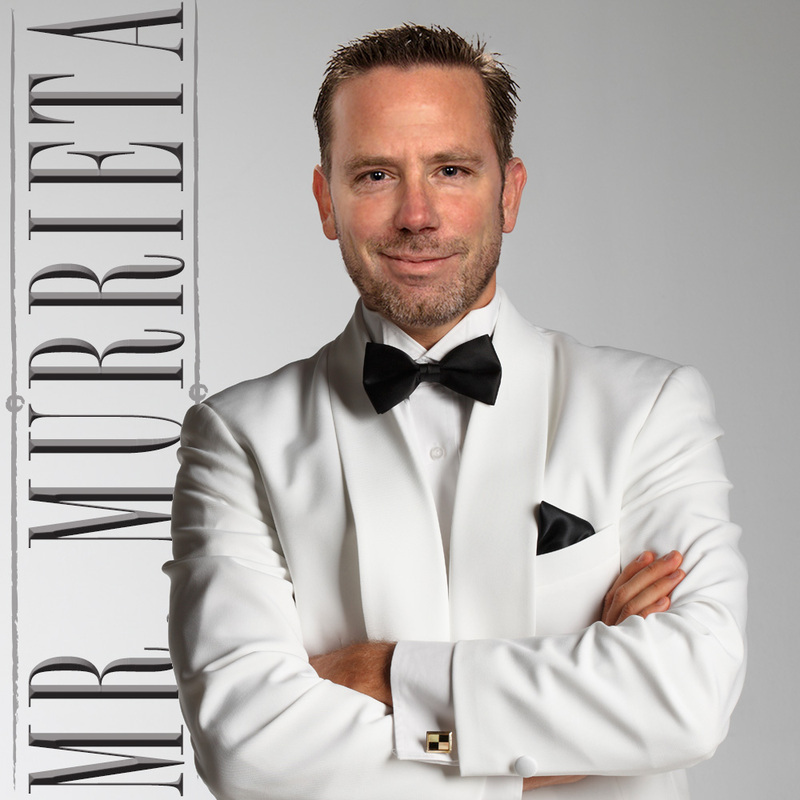 Stefan West aka Mr. Murrieta, your local real estate expert! I love quotes from movies, books, people, history, and even making up my own. Every now and then we remember quotes when the appropriate moments come along. Two recent moments reminded me of the movies Poltergeist 1 & 2. The first was waking up the day after school let out with an ominous...They’re here!” The second was on August 15th when school started again…”They’re back!” I know Poltergeist is creepy and not for everyone, but the sheer joy of kids going BACK to school is mind-blowing. I flat out giggled when dropping the kids off that first day of school and I definitely wasn’t alone! Now you may be asking what this has to do with real estate. Besides your real estate expert being a VERY happy camper, there is actually a correlation between school and real estate sales. Believe it or not, our market hit a huge slowdown once school let out and the market was flooded with new listings. This led to slowing sales, market-wide price drops, and a whole lot of frustrated sellers and their realtors. With school back in session, many sellers removed their homes from the market, thus shrinking supply. Family trips and vacations are over and people are back to the grind which includes looking to buy homes. Also, with so many price reductions over the last two months, we are seeing new buyers come into the market now that it is more fairly priced and interest rates have held steady. At this point, we have had seven straight months of annual declines in pending sales from last year. For the rest of the year we will be transitioning to a traditional market of 3-5% year over year appreciation. We will likely see a bump in sales for October but it won’t be a landslide. That shipped sailed in March-May. We will also see an increase in cash-out refinances as people are investing in pools, debt consolidation, etc. If you or someone you know is considering doing a refinance, PLEASE call me. Let’s make sure you get the best rate and terms. I work with some of the best lenders in the business, so let me help! I want to wrap up with a specific request to you. If you know anyone who may be buying or selling, please give them my card or contact info. This market is aggressive and hiring an experienced broker is now more important than ever. Please do not hesitate to call me with ANY questions about real estate here in California or any state in the US. I can help anywhere in the US. I love my job and live for this stuff! These are just a few stories from late July. They are finally reporting what I mentioned in earlier client updates, namely that our best months are March through May and then a glut of supply comes on in early June, depressing the market. With home prices and interest rates rising, this effect was magnified. In June, sales of Southern California homes and condos dropped 11.8% year over year. With that said, the sky isn’t falling and I believe we are just moving toward a more balanced market. The first fall in pricing was more abrupt because many sellers overpriced their homes in a declining market. Right now, it is NOT a seller’s market unless the home is an absolutely stunning, turnkey, or a highly upgraded pool home. The rest of the year will be a good time for buyers to take advantage of more supply and flexibility before interest rates raise further. Sellers shouldn’t be too concerned at this point. Entry level homes in particular are moving pretty quickly. Our local market is very strong in general and there is nothing in the overall economy that raises major red flags. However, keep an eye on the trade war talk and interest rates. Thank you very much for all the referrals and please do not hesitate to let me know if you know someone looking to purchase or sell in the area. We are glad to help and always appreciate your referrals! So, I am sitting at Elevator Brewery and Draught in Columbus, Ohio enjoying their amazing craft beer and short rib macaroni and cheese. I am not just savoring the food, I am also reflecting on the thrilling Cavalier’s victory and advancement to the NBA Championship. Lucky me, I watched game 7 of the eastern finals with a roomful of Cavalier fans right here in Ohio! Also, I had the BEST or second BEST meatball I have ever had. It was veal but it was real…delicious by Marcella’s Restaurant. Yup, I can rhyme. I have to tell you, Columbus is kind of boring and they dress funny. On Memorial Day I walked the city streets and (no exaggeration) saw a total of 7 people over the course of an hour. It really shuts down out here and yes 5 of 7 were dressed funny, that’s like a 71.4% funny dress ratio. I am not picking on Columbus, just calling it as I see it. They probably think I dress funny too. As I fly back tonight, I will research our current and future real estate markets. I anticipate many more houses hitting the market in June and prices evening out. Buyers will get pickier before making offers and negotiate more aggressively. Great homes at proper market pricing will sell fast. While that sounds obvious, this is the time of year where sellers start pricing too high and ignore the winds of market change. After reviewing recent economic data, I strongly believe the Fed will raise interest rates again in June. I would be bold and guarantee it based on the ultra-low unemployment, but the new trade sanctions being put forth by Trump may introduce economic doubt. If they do raise federal interest rates, I do not see it impacting mortgage rates significantly this time around. Right now rates are kissing 4.75% or more, especially if the buyer’s closing costs or mortgage insurance fees are included in the rate. In wrapping up, I have been getting calls from clients wondering if we are hitting a peak in the market. I don’t believe so at this time. I see a calming down of double digit appreciation to more traditional rate of appreciation. However, if you are waiting to time the market, no one gets it perfect except by accident. If I had a rental that I didn’t want long term, I would give this market a hard look and likely sell it. Thanks to all my wonderful clients and for your referrals. I am going to miss some great clients, all of whom had me sell their homes but moved out of the area, state or country. Joe and Marie, Dylan and Courtney, Dale, Margie and Randy, Keith and Rosalinda – you will all be missed. Thank you for your business and trust. If you ever need anything for family, neighbors, or even for your next move – give me a call! “Raindrops are falling on my head…” Here I am, all dressed up in a suit and tie yet I gave my umbrella to my wife. So while I may be a gentleman, I will be the WET gentleman at a real estate class today. C’est la vie. My inconvenience pales in comparison to the gratitude in my wife’s eyes as she scored my umbrella. Since this is my first letter of 2018, I should have started with Happy New Year! I hope you had a wonderful holiday season. If you are like me, you love the holidays BUT it’s really nice to put away Christmas and charge into the New Year. So in that spirit... I am back in the gym on my gimpy knee (recent ACL/MCL surgery) and ran into a Murrieta real estate client who asked about the new Tax Cuts and Jobs Act of 2017. The bottom line is there are both pluses and minuses but many Temecula and Murrieta homeowners will benefit more if they have lower property taxes and interest rates. Renters will definitely benefit from the higher deductions thereby enabling them to buy homes in the future versus renting. Adding to this is the recent raising of loan limits across the board (conventional, FHA, VA) that should further drive our home market higher in 2018. P.S. Enjoy the rain. What’s better than falling asleep and waking up to that wonderful sound? Beginning on January 11th through the 21st, the Old Town Temecula Theatre will hosting the musical Little Women. This is a fun event that the whole family will enjoy! Don’t miss out and be sure to buy your tickets ahead of time . Go to the Old Town Theatre’s website for more info and for ticket prices. Looking for something different and fun to do?? Well try taking Salsa lessons over at Pechanga on Wednesday nights. This is FREE and lessons start at 8:30 every Wednesday. This would be a great way to meet new people and to have a fun date night with someone special. Go to Pechanga’s website for more info. It’s that time of year again when Monster Jam is back at Petco Park in downtown San Diego. Saturday January 20th gates open at 5:00 pm and tickets are on sale now. Don’t miss out on this fun family event that the kids are sure to love! Tickets start at $15. Restaurant week returns Sunday January 201st through Sunday January 28th. With over 180 participating restaurants you’ll want to take advantage of this great opportunity to try new place at a reasonable cost. There will 3 course prix-fixe dinner menus for $50 and under per person and 2 course prix-fixe lunch menus for $20 and under. What a great time try that new place that you’ve been wanting to try. Don’t forget that every Saturday morning head down to Old Town Temecula for one of the best Farmers Markets around. With dozens of local growers and merchants this is sure to get your weekend off to a great start. Make sure to go hungry as there as tons of samples and food vendors selling delicious homemade treats. There I was, stuffed to the gills in Lake Arrowhead on Thanksgiving night. With a shaky hand and a sweaty brow, I finish that last bite of dessert. Whew! I take pride in the fact that I finish what I start…even if it hurts a bit. As I leaned back in a combination of food pleasure and pain, I glance at a text message and see that someone has sent me a picture of them already hanging Christmas lights. Seriously?! It’s not even the day after Thanksgiving! Sometimes I want to drop-kick my brother Andy. Let’s face it...we all have some type of Andy in our life. Or maybe YOU are the Andy in your family’s life ?. But, ready or not, now that Thanksgiving and Black Friday are wrapped up, Christmas is clearly on its way. Now, I love Christmas like I love bacon. It just makes everything better. People are nicer, evenings start earlier, fireplaces are lit, the air smells woodsy, and we connect with our families in a magical way that only happens once a year. It is a time where the real gift is looking back at the year with remembrance and appreciation of all we have in our lives and then getting excited of what’s to come in the future. Taking that view in real estate, we have a lot to appreciate from 2017. This past year we had an excellent market where interest rates stayed low and housing grew by more than 5%. While national politics certainly gave us a lot to talk about, they didn’t negatively impact one of our dearest assets…our homes. Looking ahead, 2018 just received a major Christmas present. Conforming loan limits, which were marginally raised in 2017 from $417,000 to $424,000, have been raised again to $453,000. This near 7% increase that will enable homes valued above $400,000 to increase in value. It will also allow people to refinance and combine 1st and 2nd loans into one conforming loan and lock in a low interest rate. Lastly, it will really help our military families using VA loans by allowing them to purchase higher priced homes. So I see bright days ahead for real estate and my neighbors here in Murrieta, Temecula, Wildomar, and Menifee. We are lucky to have such a wonderful place to live, work, and raise our families. My team and I truly wish you and your family the very best this season and in 2018! Friday December 1st, head down to Old Town Temecula for the annual Santa’s Electric Light Parade. Get there early to save a spot for the family. This year’s theme is Community Pride. The parade starts at 7:00pm. Be sure to bring plenty of blankets in case it’s chilly! For the month of December during the weekends, come down to Pennypickle’s Workshop to visit with Santa. Saturday December 9th, take your little ones and enjoy a breakfast with Santa at the Temecula Community Recreations Center. There will be carolers and pictures with Santa. Be sure to pre-register for this event since this does fill up quickly. This event starts at 8:00pm and ends at 1:00pm. December 31st from 6:00 to 1:30pm the annual Grape Drop will take place at the Civic Center. Welcome in 2018 Temecula style with live music, vendors, and kids activities. You can buy wristbands for $5 which gives kids access to unlimited games and activities. Between December 4th and December 13th, Santa will be making his yearly rounds through Murrieta to the designated “Stars” Remember to bring your canned goods and unwrapped gifts for children that will be donated to those in need this holiday season. Saturday December 2nd at 9:00am head over to Town Square Park for donuts and juice with Santa. There will be a holiday craft for the kids to do. Space is limited so be sure to make reservations. December 2nd the city of Murrieta will host the Festival of Trees and Tree Lighting. There will be full sized decorated trees that will line the park, all of which will be donated to families in need. Moana, your favorite Disney princess will also be there along with seasonal fun, carriage rides and more! The City Tree will be lit at 6:30pm. As November comes to an end I hope you all enjoyed the start of the Holiday season with a wonderful Thanksgiving with family and friends. I spent Thanksgiving week up in Lake Arrowhead with my family. In this month’s market report, I will be pulling the numbers from the month of November for the city of Murrieta and comparing them to October. As always my stats are based on single family residences, with 3+ bedrooms and 2+ baths. Right away I am seeing a large decrease in the number of active listings on the market. In October we had 275 homes on the market and currently we have 219. That’s a difference of 20%! The price that homes are being listed for had dropped slightly from $522,609 to $517,203. Now looking at the sold numbers for the city of Murrieta, I can see that number has remained steady with 139 in September and 139 in October. The average sold price has gone up from $441,025 to $466,220 last month. The average number of days that homes are on the market is 40 days currently, which is an increase from last month’s average of only 28 days. We are seeing the normal slow down in the real estate market with Holiday Season here. As usual it should pick back up after the New Year only to really regain strength again in the spring. If you would like to get a free no obligation market evaluation of your home please give me a call and I would be happy to provide one to you. Have a great Holiday Season and be sure to check back in the months to come as I will continue to update my site with current market stats for the city of Murrieta and the surrounding areas.